Last week, when I wrote about rhubarb almond coffee cake, readers went crazy for it. I got so many wonderful emails — some even included photographs. Thank you, readers. I'm thrilled you're enjoying it. If you still have rhubarb on hand, check out my rhubarb iced tea recipe in "The Alaska from Scratch Cookbook." Speaking of iced tea, I have a creamy, dreamy one on tap for you this week as we continue into summer. It's a strong, black iced tea, with whole spices and a hint of vanilla, swirling with a sweet coconut milk concoction. It's not unlike Thai iced tea, albeit less sweet and not quite as burnt orange-hued as authentic Thai tea. I especially love the subtle coconut notes that come through. You can adjust the ratios entirely to your liking, making each glass as sweet and creamy as you like. In a saucepan over high heat, bring 8 cups of water to a boil. Remove the water from the heat and add the tea bags. Using a mortar and pestle, crush the cardamom pods. Add the cardamom, anise, and whole cloves to the water. Stir in the vanilla. Allow the tea to cool and steep about 2 hours. Remove the tea bags and spices. Chill the tea until cold. To make the iced tea: fill a glass with ice. Pour the black tea over the ice, filling the glass about 2/3-3/4 of the way full. 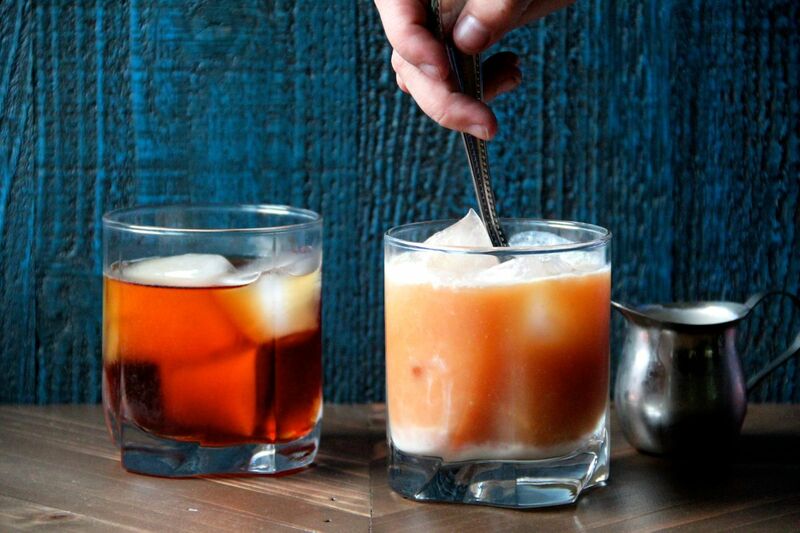 Pour the coconut mixture over the iced tea, until sweetened to your liking. Stir the tea with a spoon and enjoy. Maya Wilson lives in Kenai and blogs about food at alaskafromscratch.com. Her new book, "The Alaska from Scratch Cookbook," is available now. Have a food question or recipe request? Email maya@alaskafromscratch.com and your inquiry may appear in a future column.